From chalkboards to whiteboards, from whiteboards to clear writable surfaces, times sure have changed. Why? To adapt to the changing learning styles for students and adults. Schools and offices are creating collaborative learning environments for teams to gather to work together on projects. Having a clear writable surface to use for brainstorming, teaching or learning is key. Having the surface movable is even better. 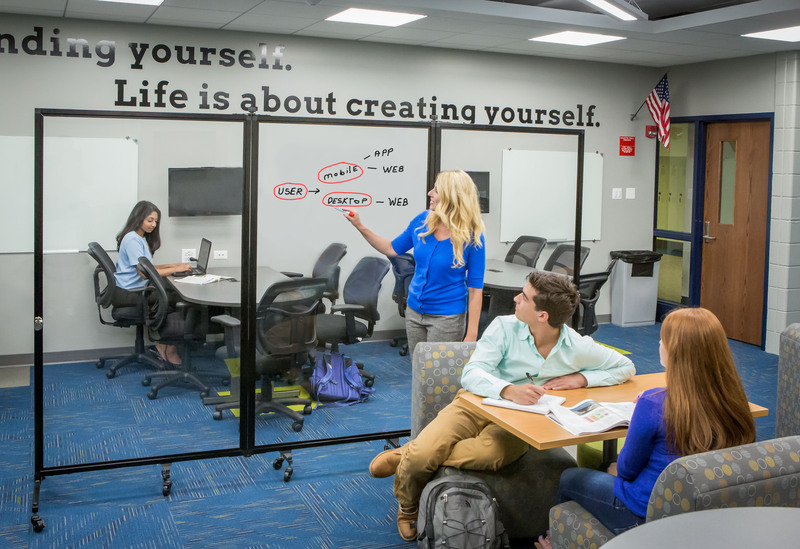 Rolling clear dividers allow you to divide the open space into learning pods. Because they are a clear surface, wet erase markers can be used to write on the surface. What’s nice, is when you need to use the full space, simply roll the room divider to the side and the open space is there to enjoy.